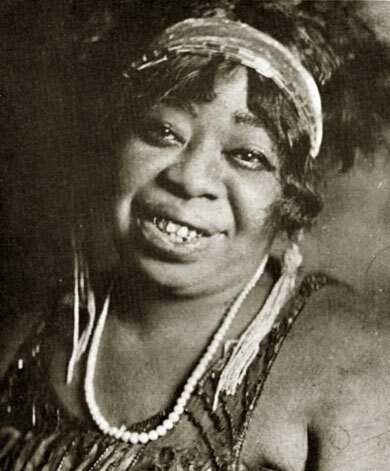 Rainey, Ma (1886–1939), blues singer, comedienne, songwriter, and theater owner. Born Gertrude Pridgett on 26 April 1886 in Columbus, Georgia, Ma Rainey began performing at the age of fourteen at the Springer Opera House in Columbus. In 1904 she married William “Pa” Rainey. Early in her career Rainey became leader of her own show and proved herself to be both an exciting blues performer and a capable manager. In 1923 she began her recording career with Paramount Records; she stayed with the company until 1928. Rainey's performances and records incorporated rural as well as jazz elements. She recorded with jug bands as well as with jazz greats. One of her most well-known songs, “See See Rider,” exemplifies her style. Her biographer, Sandra Lieb, characterized Rainey's style as a rich contralto filled with slurs and moans and “lisping diction”. Throughout her career Rainey appealed most to southern audiences—both black and white. She returned south to Columbus in 1935, when she retired from active performing. At that time, Rainey purchased and operated the “Lyric” and “Airdome” theaters in Rome, Georgia. Sandra Lieb, Mother of the Blues: A Study of Ma Rainey, 1981.